If you are an entrepreneur, you definitely know the value of time. You have to invest it wisely in engaging clients, approaching them, and developing relationships, servicing them, and marketing their product. You must be looking to start an online business that can make you seriously rich. The Internet has an ocean of opportunities to begin your own organizations, frequently with little to none cost. Just collecting some productivity tips is not enough if you cannot implement them properly. Along with it, you also need some of the basic tools that can save your time and improve productivity. Reading user reviews and expert guidance are some of the ways to look for best tools. Don’t worry! 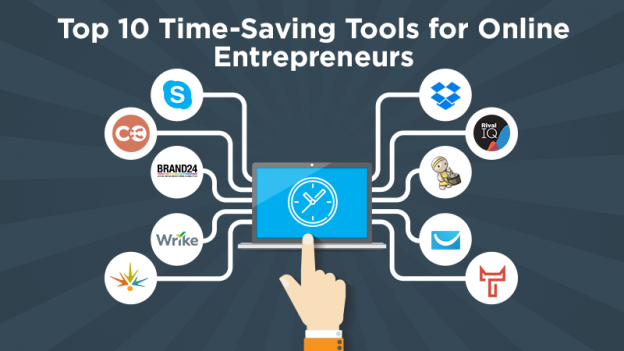 We have compiled the list of top 10 most useful time-saving tools that can definitely make a difference in your efficiency. Pricing – Skype charges $2.95 per month for unlimited calling (along with a Skype number) to Canada and the US. So, Skype is affordable for every entrepreneur. It is one of the widely used apps on our mobile devices and system. But not all have used it in the corporate environment. With the help of Skype, you can make voice calls, chat, and video conference with clients across the world. For chat and basic features, it is forever free. This tool is the best choice for those online entrepreneurs who have to collaborate and communicate virtually with clients and teammates. The best thing is that Skype enables calling landlines and mobile phones at the same rate. Since the owner of this app is Microsoft, it guarantees you of its top quality functionality, responsiveness, and great support, when needed. Pricing – Monthly subscription plans start from $0.99 for 20GB of Storage. If you want, even more, it charges $3.99 for 200GB and $9.99 for 500GB. It is free till 15GB. For $1.99 per month, Google offers 100GB of storage. Dropbox is the one-stop storage and sharing solution for your business. Get the most of the cloud storage with this online file storage solution. You can store any information and files on Cloud instead of your hard drive. The best part is that you can share, transfer and backup GBs of data easily and have full access and control on it from different devices. Keep all your documents in sync with assured security. You can allow only some authorized employees or clients to access stored files. Online entrepreneurs who need just small space can easily use the free version of this app. Pricing – Starts from $10 per month for each WordPress blog. 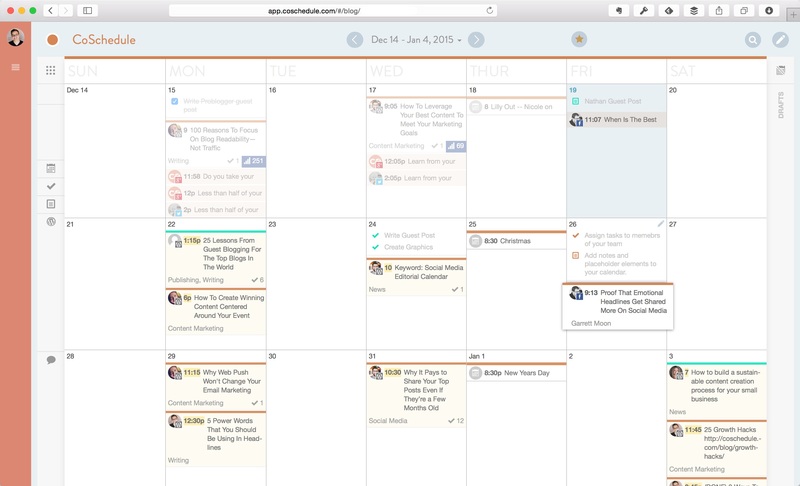 CoSchedule is a cool drag-and-drop Calendar tool for social media and blog. It is exclusively available from WordPress. It keeps all your editorial comments, blog posts, team assignments and unpublished posts at one place. If you are a blogger, you can find it super simple to use to schedule your guest posting. It can give your personalized list of go-to checklists that can benefit you. Have an Idea in Mind? Let us shape it together! Get your WordPress Blog Developed by WordSuccor Ltd. Landing Page Creator from GetResponse is your handy tool to create an appealing landing page for your site. It is both effective and simple app to create an attractive landing page with few clicks if you don’t have coding knowledge. This tool consists of built-in forms, image editor, A/B testing, and a cool responsive design to adjust your pages to your mobile platforms well. In addition, this cool tool has hundreds of templates to choose from, when it comes to creating effective yet cool landing pages for your brand. Pricing – For publishers, it is totally free. For marketers, it charges $399 per month. (A publisher can promote content from external sites when marketer can promote only internal content). 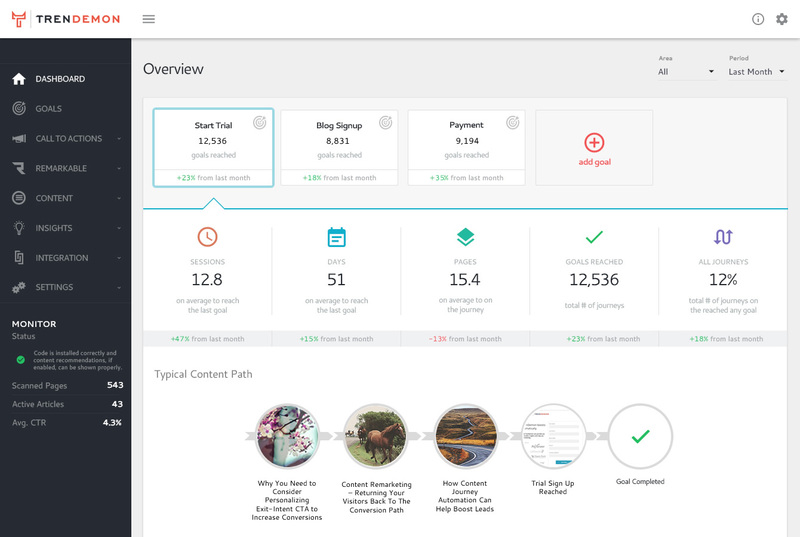 TrenDemon is the best tool to boost your page views, user engagement and business revenue from content automatically. Even more, it offers free actionable advice to the entrepreneurs about the best ways to improve conversion rates and traffic to improve visits. All you need to add your email, password and website URL to get started. After verifying your email, you will get a code to add to your site. On the other side, you can also get WordPress plugin of Trendemon for free. According to your business goals, there are different ways to use it. Suppose you want to improve traffic on your site. You can pick traffic and it will show the best content recommendations to your visitors. Content Marketing becomes easy with WordPress Website. So, get your WordPress Website developed by WordSuccor and make your task easier. Pricing – You can try it for free for 14 days. After the free trial period, plans start from $199 per month. Rival IQ is a helpful app for market analysis of SEO keywords, web content and social media and for a competitor. The Market Landscape feature is its key feature which can help track different companies for comparative or competitive analysis. In Landscape, you can just add companies to track or analyze. It quickly notifies you if a competitor makes any change to their websites or social profiles. All you have to define the “Focus” point, i.e. your website and add competitors to perform comparative analysis. 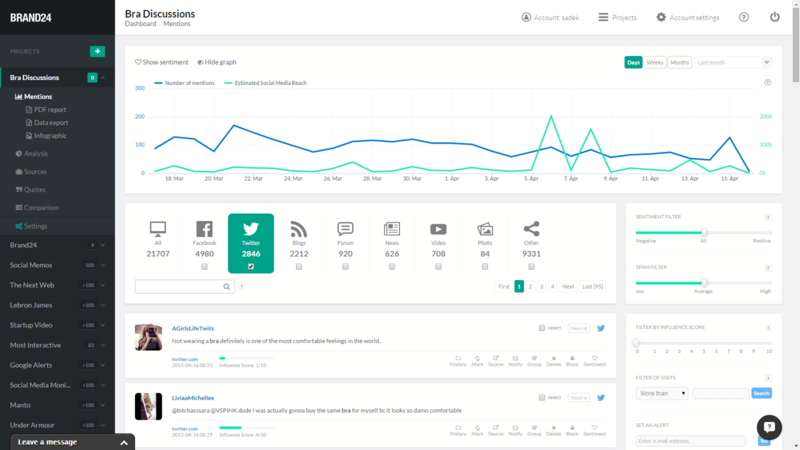 To generate detailed reports for 6 social media channels like Twitter, Facebook, and Instagram, it offers several options. You can also find out the influencers that are talking about you and the competitors on Twitter and you can follow major Twitter mentions easily. Pricing – Try it for free for 14 days. Brand24 is an affordable yet simple way to keep track on online traffic as well as mentions of your brand or company. With this app, you can get important details to analyze and spot discussions and conversations online related to your brand and respond to them when needed. This way, you can improve customer satisfaction and get new leads. Most of the social media tracking apps like this are the way too expensive and complex for SMBs and entrepreneurs. On the flip side, Brand24 provides dependable social media tracking and analytics tools to get the most of your web presence. Pricing: – Free for a limited period and currently available in beta version. 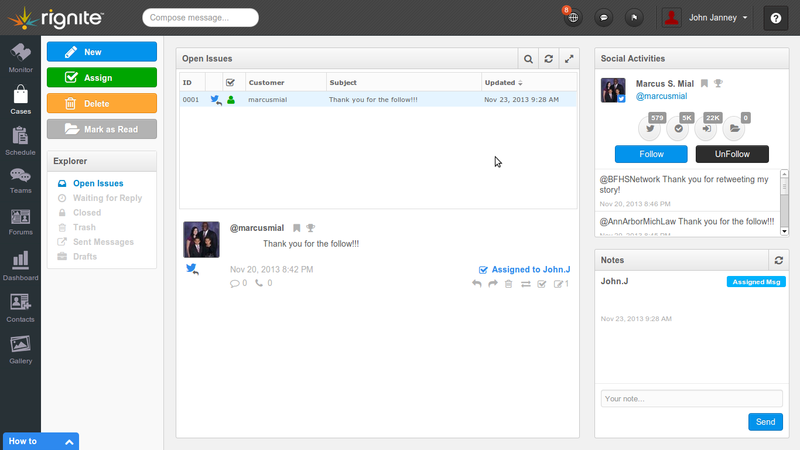 DrumUp is the best tool to get the most of the social media in terms of content management. 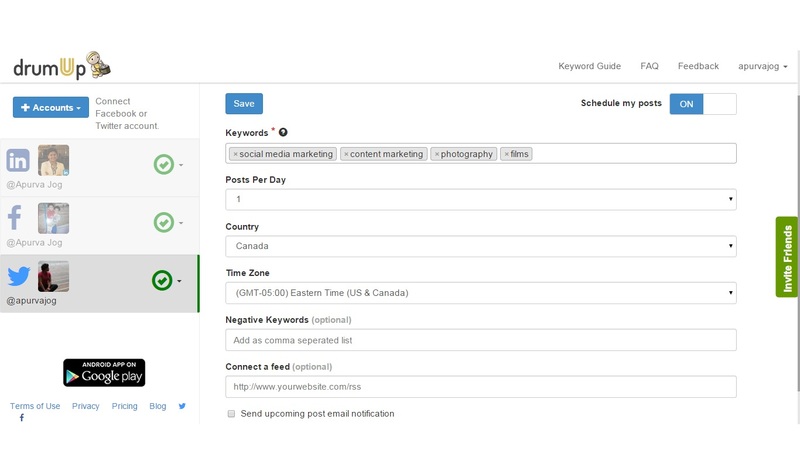 According to the keywords added to your profile, the tool will provide accurate suggestions for social media posts. All you have to choose the suggested and relevant keywords and brand you need to follow. It will automatically give relevant articles and stories in your newsfeed. It is a useful and handy tool as it can provide interesting and fresh content to the audience. Custom posts can easily be scheduled with this tool to promote and market your service or product and also schedule updates. Basically, it gives recent and freshly published stories according to your interests and needs. This tool can also be used to improve your social presence without having to invest a lot of effort and time. Pricing – Try it for free for 14 days. Post-trial period; pay $28 per month for each user. Rignite is another great social media marketing app for entrepreneurs. For online entrepreneurs, the value of social media cannot be overlooked. To get the most of the social media networks, use the dashboard of Rignite to manage and keep track on your social media presence at once. With this app, you can get informed strategies for your activities on social media, plan your campaigns and use workflow to enhance followers count and engage them well. The campaign is the best feature of this app. You can easily schedule your posts as per your needs, host contests and promotions, and grow the list of followers. For example, you can easily schedule several posts to market your service or new product on several social media channels at a desired time or day. You may try and track your campaigns to find out its effectiveness. Pricing – It is free for up to five users in a team. It is another amazing tool for online entrepreneurs. 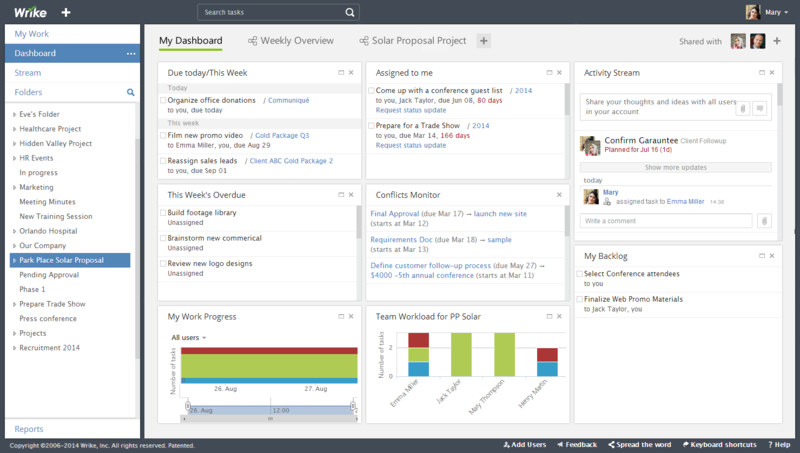 Actually, it is an online project management tool for those who lead a virtual team. This tool enables your teammates to work in collaboration with each other in real time and accomplishes their assigned tasks easily. Another great thing is that the app is available for both iOS and Android to help your staff to be productive on the move. In addition, you can also connect to your virtual team members anywhere you want. It can store all your data in one system, track their work progress and manage resources easily. All in all, there is no need to worry about distances as this app can help ensure the efficiency and productivity of your team working from any location. Want to get Custom Project Management Tool for your enterprise. Let’s build it for you. Fill The Contact form by Click on the link. If you are running a business, you may definitely have come across something troubling you and eating up your focus and time. As an entrepreneur, you have to do a lot of things – from approaching clients to developing an engaged and active list, to marketing to the target demographics. This way, the above mentioned online tools may help you improve your productivity and efficiency of your team while saving your time by doing some of the basic tasks that may eat up your precious time.